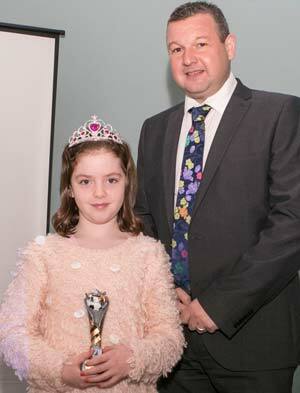 The efforts of several inspirational young people were celebrated at the Proact last week, as the third annual Chesterfield FC Community Trust Junior Awards took place in the Zoe Edge Room at the Community Hub. 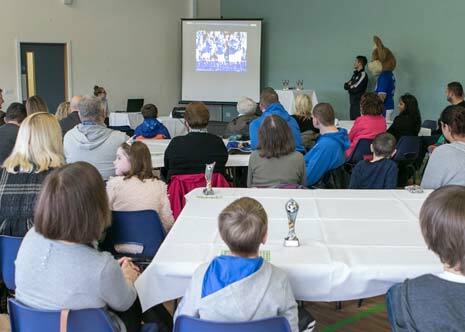 Attended by around eighty youngsters and their families as well as some of the sponsors, the awards featured montage videos showing last season's action as well as the work of the Trust. Chester the Fieldmouse was on hand as was the League two trophy and sponsor's boards to provide photo opportunities. The lunchtime event also featured a luxury buffet for those attending. Following proceedings The Chesterfield Post spoke with current Chairman of The Community Trust, Pete Whiteley and also Ashley Holmes, Finance Director of Penny Hydraulics - who both expressed their pride in the success of the awards, and the support from the community for the charity. The Chesterfield Canal Trust has unveiled the latest attraction at Hollingwood Hub in the shape of an 'audio post'.